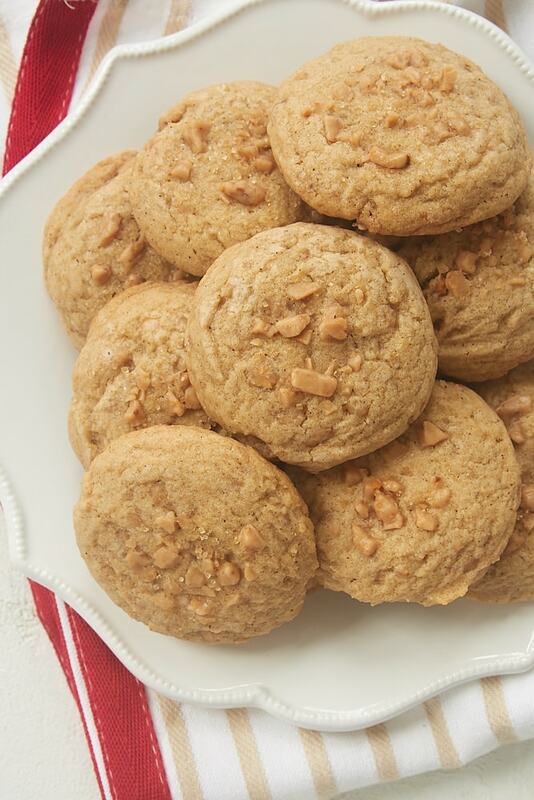 Spiced Toffee Cookies combine plenty of spices with the sweet crunch of toffee. They’re wonderfully soft, sweet, and spiced! My Christmas cookie baking wouldn’t be complete without a good spice cookie. 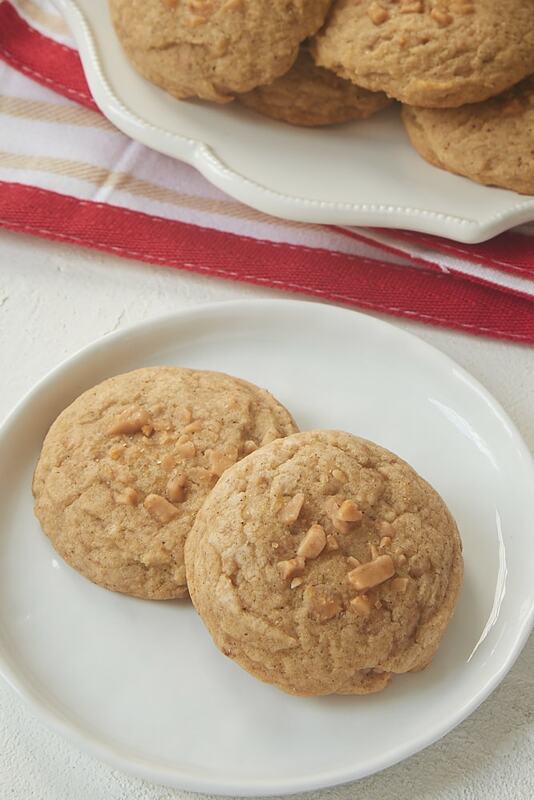 These Spiced Toffee Cookies fit that requirement perfectly. 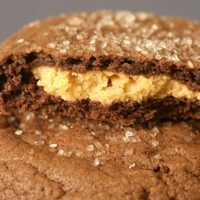 They’re filled with a wonderful blend of spices, and the added crunch and sweetness of the toffee takes them to an all new level for spice cookies. 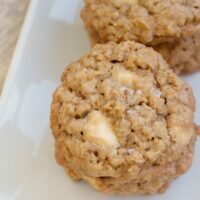 These cookies are soft and sweet with a bit of crunch and lots of flavor. You know I don’t like to play favorites, but I think I can safely say that these are one of my all-time favorite cookies. There’s just something about the combination of the flavor and texture that I find irresistible. 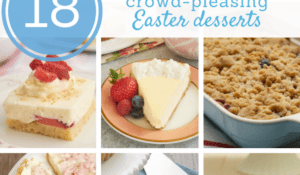 Don’t let the long ingredient list make you hesitate to make these. There are a lot of spices here. 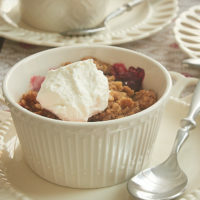 You can make them as written or use a favorite fall spice blend if you like. 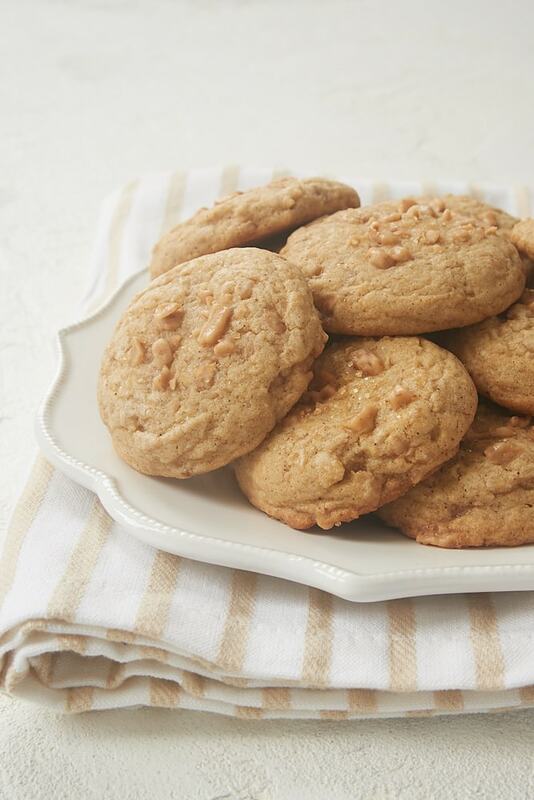 The toffee portion of these cookies comes to us in the form of toffee bits. 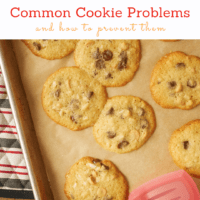 They’re one of my favorite baking ingredients, especially as a cookie add-in. 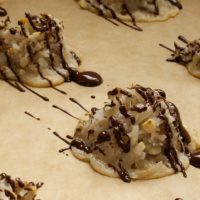 I use plain toffee bits for these cookies, but they are also available with a chocolate coating. Look for them alongside the chocolate chips and other baking ingredients. 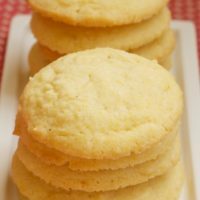 These are, well, very beige cookies. They’re not exactly eye-catching on their own. Sprinkle some coarse sugar and toffee bits on each cookie before baking to add a little more interest. They’ll still be quite beige, but they’ll have a little more appeal that way. 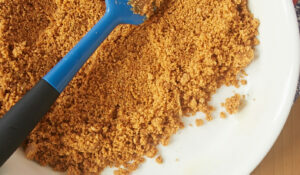 Any coarse sugar (like a sanding sugar or sparkling sugar) will work, but I like to use turbinado sugar for its color. While I’ll happily enjoy these cookies all year long, I especially love them this time of year. They’re great for cookie swaps, homemade gifts, or just sharing with friends and family. I hope you’ll enjoy them, too! 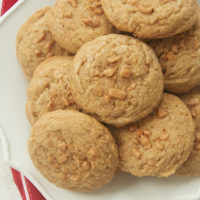 Take your spice cookies up a notch with these fantastic Spiced Toffee Cookies! Whisk together the flour, baking powder, baking soda, salt, cinnamon, ginger, allspice, cardamom, and nutmeg. Set aside. Using an electric mixer on medium speed, beat the butter, brown sugar, and sugar until light and fluff. Add the eggs, one at a time, mixing well after each addition. Mix in the vanilla. Reduce mixer speed to low. Gradually add the flour mixture, mixing just until combined. Stir in the toffee bits. Drop the dough by 2-tablespoon portions (a cookie scoop works well for this) onto the prepared pans. Flatten the cookies slightly. Sprinkle each with more toffee bits and a pinch of turbinado sugar if you like. These cookies look and sound so delicious. The perfect treat next to a cup of coffee! Jennifer, I made these using a GF flour for a great friend who has to eat GF. They were a big hit with her and with non-GF eaters too. Very good recipe. Definitely a keeper! 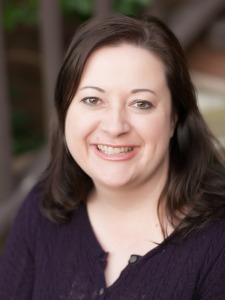 Hi, Linda. 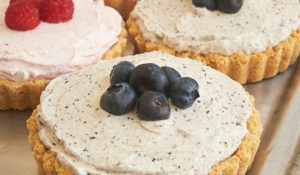 Thanks for sharing your experience using gluten-free flour for these cookies. That’s great to know!